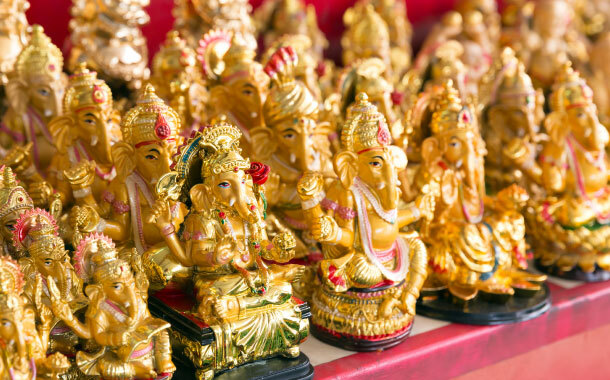 Ganesh Chaturthi, one of the most popular festivals in India brings people from all caste, religion and creed together. The 10-days festival is celebrated usually in August or September depending on the Hindu calendar. The legends say that Ganesh Chaturthi was being celebrated as a public event in Pune since the times of Shivaji (1630-1680), the founder of the Maratha Empire. However, in 1893, Lokmanya Tilak transformed the annual domestic festival into a large, well-organised event to bring people together. Though this festival is celebrated across India, the states like Maharashtra, Tamil Nadu, Kerala and Goa are the top states for celebrating this festival with big enthusiasm. With Indians residing in every corner of the world, this festival is more like international now. So, we take you to the countries, apart from India, where you can enjoy this festival of love, happiness, celebrations, colours and festive dishes. Countries like Canada, Mauritius, Thailand, Singapore, Cambodia, Burma, US, UK and Fiji celebrate this festival and many of mentioned countries’ government have declared a public holiday for that day. Ganeshotsav is been celebrated in Mauritius since 1982 by local Hindu community which consists of 52 % of the total population on this island. In fact the first day of this festival is a public holiday in Mauritius. Though not on a large scale, the festival is celebrated in the regional temples or individual homes. It is glorious to celebrate this festival in the temple as the Ganesh idols made out of mud are established at temples and homes. Devotees visit temples, offer aarti and perform a traditional dance. Toronto, the capital of Canada has many Indians that get the Ganesh idol from their respective home in India. Even with limited resources they make it grand by coming together, sing aarti and share the prasad. They still continue to follow the typical Indian culture during this festival. With a large Indian community residing in the US, the festival is celebrated on a large scale. They import idols from Mumbai and the celebrations continue till the 11th day. The festival attracts over 10,000 visitors in the states. The big puja features aarti, music and dance in the cultural environment. Hounslow, the principle town in London also welcomes Lord Ganesha on a large scale. More than 5000 people show up every year for the celebration of this festival. The idol is placed at the Laxmi Narayan Temple followed by a grand aarti, with traditional food, dance and fancy dress competition throughout the days. It ends with a procession to Ham, where the idol is immersed in the Thames followed by 4000 devotees, police protection and 50 volunteers ensure people’s safety. Ganesh Chaturthi is best celebrated with the spirit of enthusiasm for the supreme God of wisdom, fortune, prosperity and remover of all obstacles. No matter where you are the spirit of devotion for Lord Ganesha is intact with every Indian.